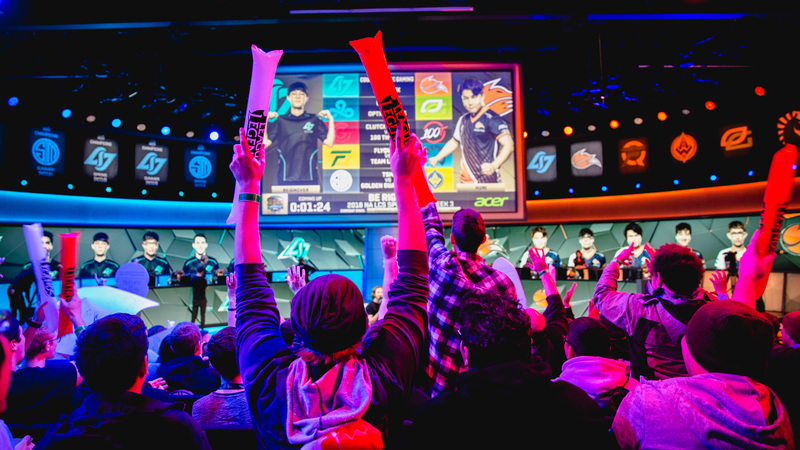 Vision Esports LP, the esports conglomerate launched by Stratton Sclavos, Rick Fox and Amit Raizada has just closed on a $38 million investment from a host of investors led by the Creative Artists Agency and TPG Growth joint venture Evolution Media . NBA superstar Kevin Durant and Rich Kleiman’s Durant Company also came in to back Vision Esports along with Shamrock Holdings — the personal investment vehicle for the Walt Disney family; the St. Louis Cardinals baseball team; and New York Giants star wide receiver Odell Beckham Jr. The company’s roots stem from a now-apocryphal trip that Fox, an NBA all-star and actor, took with his son to see an esports game at Madison Square Garden. Fox came away from the game with a respect for competitive gaming and a thirst to get in on the ground floor of something he thought could be the next big thing. With the help of Raizada, the two formed EchoFox and began recruiting a roster of players across a slate of different game titles. Sclavos, the former chief executive of tech company Verisign and the San Jose Sharks, wanted to come down to Los Angeles to start an investment fund. At a dinner with Fox and Raizada, he was recruited into the esports world and launched Vision Esports. And as the three men looked at what was going on within the burgeoning business of esports they saw opportunities to not just own a team, but also own a league and create their own narrative franchise around the games, the teams, and their league. Week 3 Day 1 at 2018 NA LCS Spring Split in Los Angeles, California, USA on 3 February 2018. That’s where the new capital comes in. Through the new investment, money Vision Esports will take a majority position in the EchoFox franchise that was Fox’s brainchild and launched the group’s journey to the center of the esports earth. The conglomerate is also going to include Twin Galaxies, which began in 1981 as the ultimate source for video game world records, stats, and player analytics and is now creating in esports leagues in conjunction with game publishers. Finally, the group used some cash to take a majority position in Vision Entertainment, which produces esports related stories and livestreams for esports events. Now all of the various esports properties will sit under one roof and the team at Vision Esports can work on rolling out their first league, a battle royale-based competition the Twin Galaxies’ H1Z1 Pro League which will begin its inaugural season in April 2018. The economics speaks for itself. According to Scalvos, leagues are wildly more profitable than teams. “Teams are great but leagues make 27 times the revenue,” he said. The approach that Vision Esports is taking to building their league (around the wildly popular battle royale format) alongside game publisher Daybreak Games is a new model. Activision/Blizzard and Riot chose not to partner with anyone for their competitive gaming leagues. Meanwhile, competitive gaming has existed outside of the control of game publishers for several years with Valve selling licenses to run tournaments worldwide, according to Scalvos. While much of the capital went to investments, Vision Esports also built out its team. Adding Chris Nordling, a former executive at MGM Resorts; Mike Mossholder who worked for the UFC; and Jace Hall who was with Warner Brothers Interactive. “It took a while to get here but this esports thing is here,” says Scalvos. 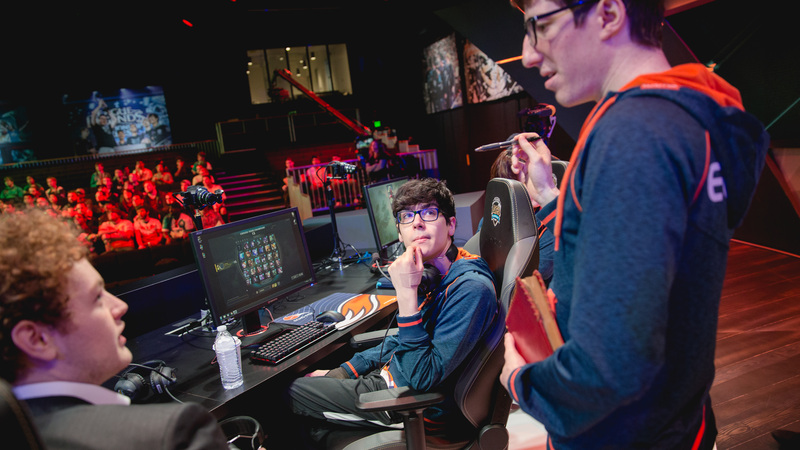 Week 3 Day 2 at 2018 NA LCS Spring Split in Los Angeles, California, USA on 4 February 2018.